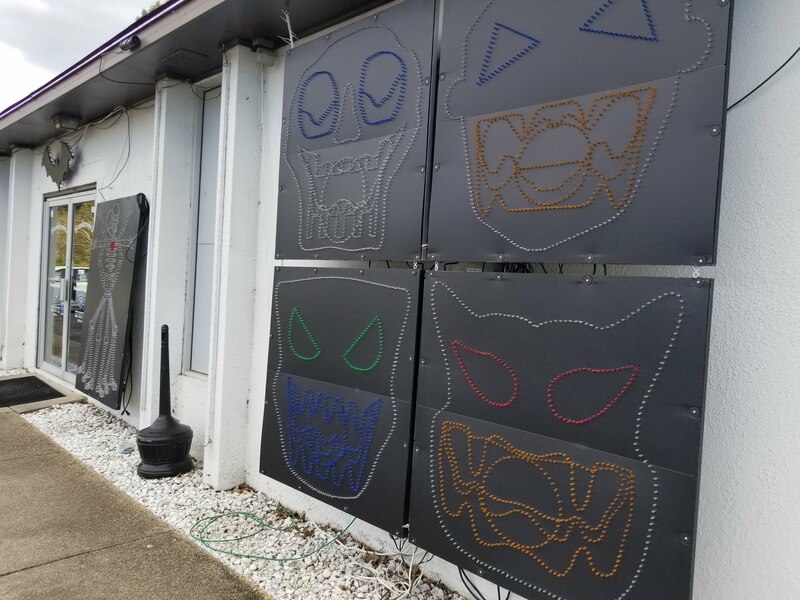 This year Franktronics Halloween light show will include “This is Halloween”, “Witch Doctor”, “Thriller”, and “Tubular Hell”. 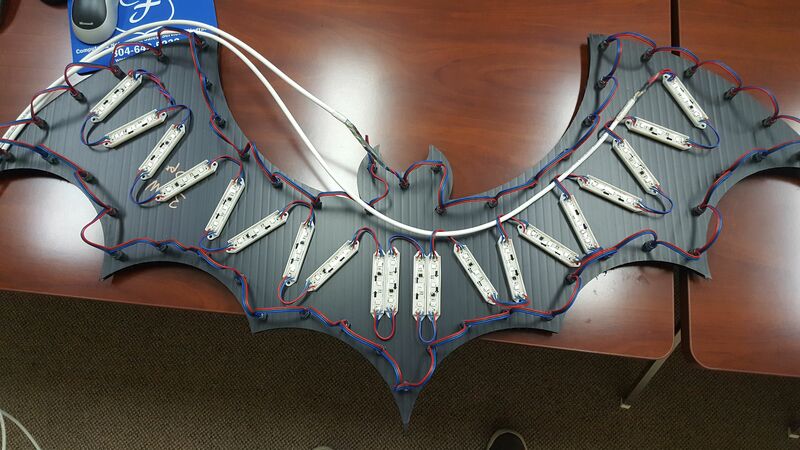 Here are the modules on the back side of the bat that creates the back light effect. 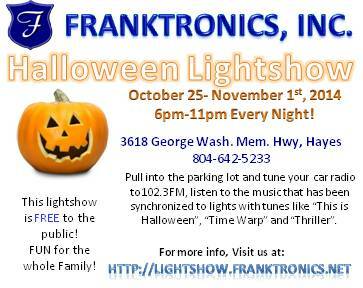 The Halloween Show will run at the Franktronics store October 22-31 from dusk (about 6pm) to midnight. This light show is synchronized with Halloween music. Just tune your car radio to FM102.3 and listen to the music. Additional special effects on weekend nights from 6pm to 9pm, weather permitting. 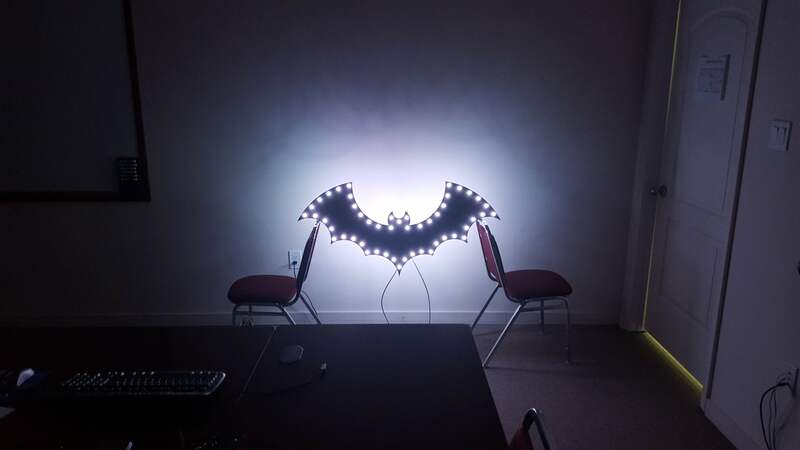 Halloween Lightshow 2015 has started at Franktronics ! Franktronics Halloween lightshow will run every night from dusk till midnight, until November 1st. Come by and watch my LED monsters sings songs like “Monster Mash”, “Thriller”, “Feed my Frankenstein” and others! The lightshow is free to the public. Tune your car radio to 102.3FM to hear the music in the comfort of your own vehicle. 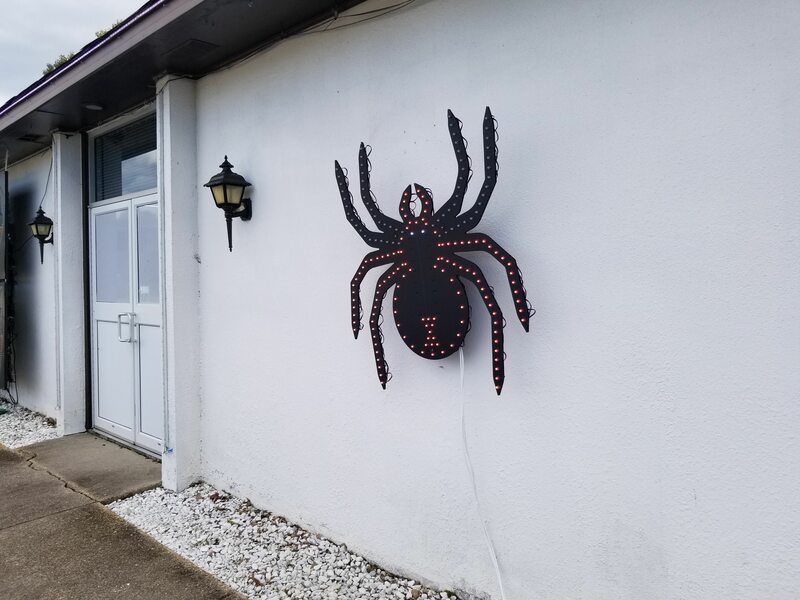 See more pictures of the Halloween Lightshow on the photo gallery page. 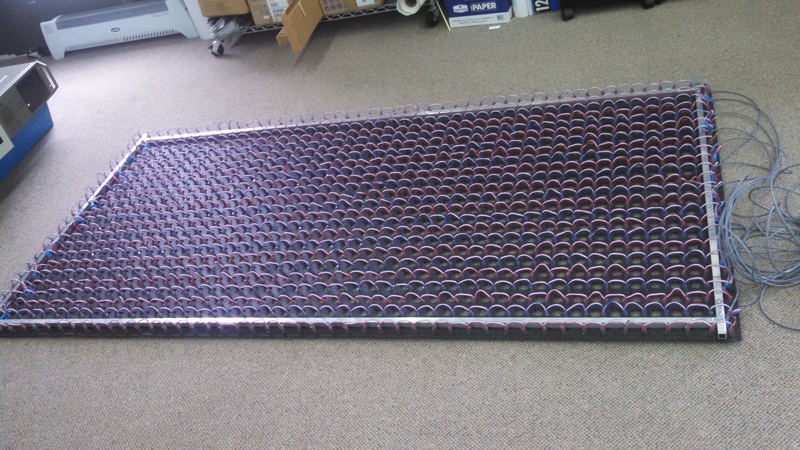 Getting ready for Halloween, just a little more wiring for this new light display. This years Halloween lightshow will start on October 24th and run through October 31st. Lights come on at dusk and go off at midnight. Make sure you tune your radio to my FM station, posted in the Franktronics parking lot. 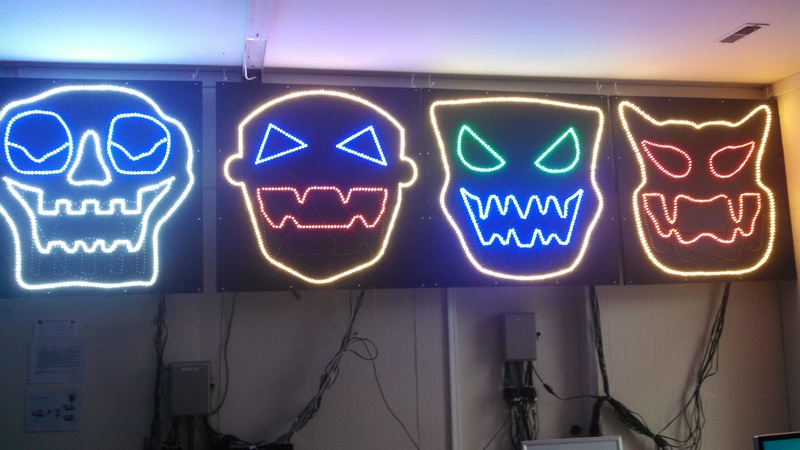 Frank and Annie just finished building the new singing monster faces for this Halloween’s lightshow! All tested and ready to go! 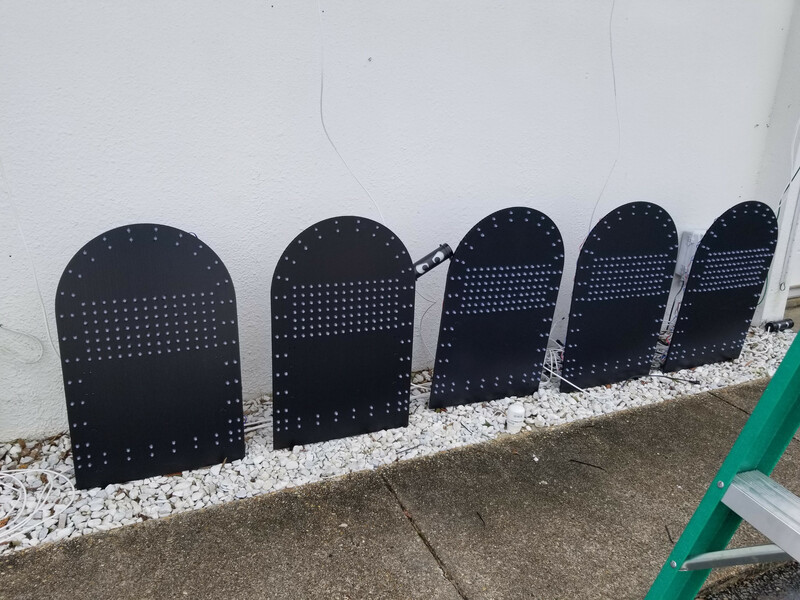 Come by and see them in action. 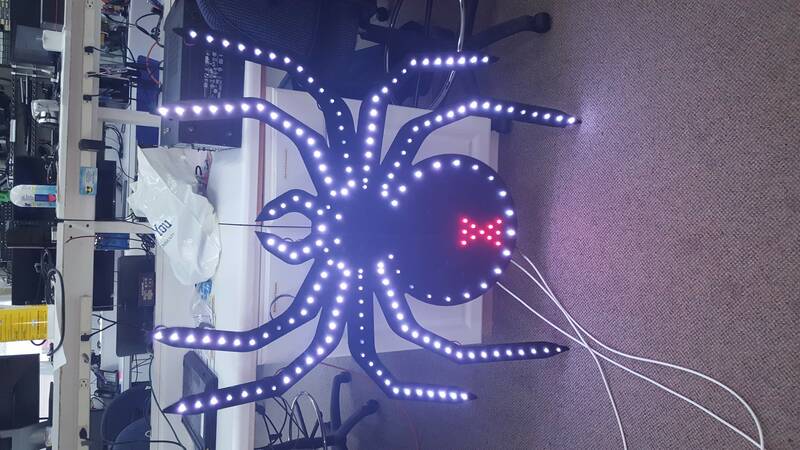 Halloween Lightshow is on it’s way up! 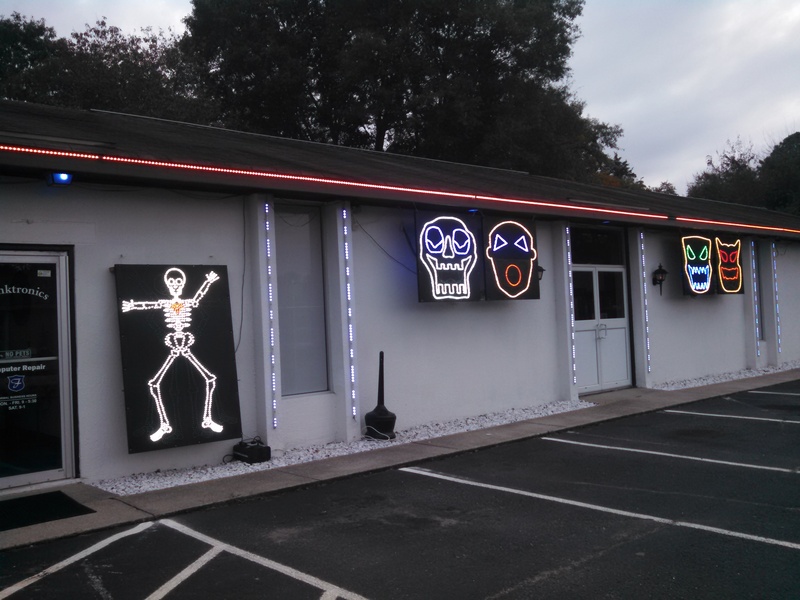 Come by Franktronics Wednesday through Saturday night and watch the 2013 Halloween Lightshow from 6PM until midnight. 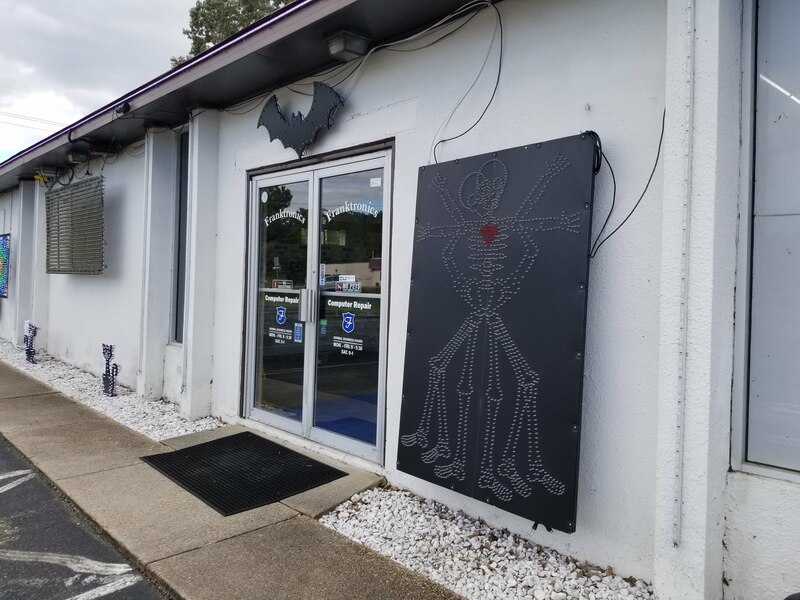 Pull into the parking lot and tune your car radio to 102.3FM, listen to the music that has been synchronized to lights with tunes likes “Time Warp” and “Thriller”. 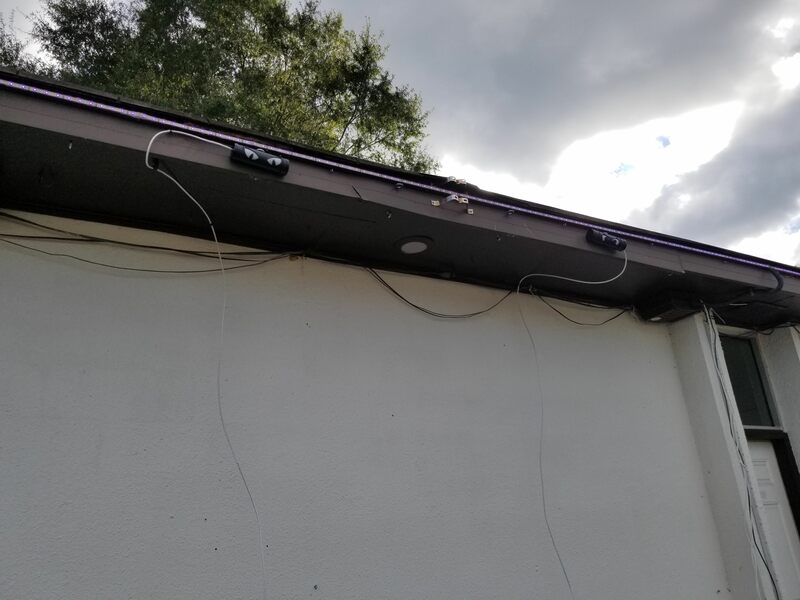 This lightshow is free to the public. Come by Halloween night for candy and few extra suprises. 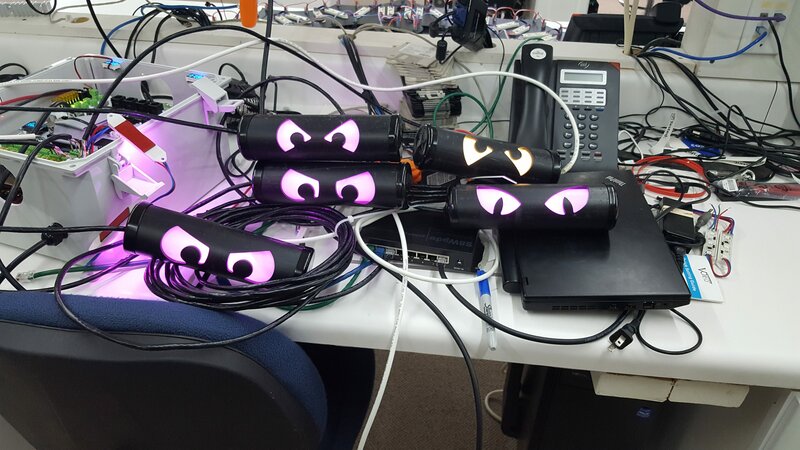 Halloween Lightshow to resume on the 30th. 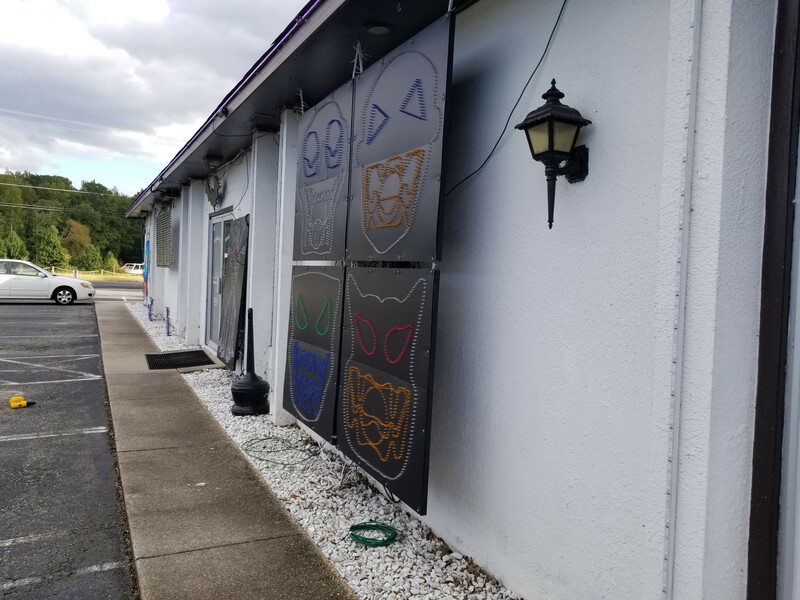 Due to local flooding the Halloween lightshow did not run last night and will not run tonight. We should have it up and running Tuesday and Wednesday night. This years Halloween Lightshow will begin on Saturday October 27th and run everynight through Halloween night. The lights will be on from Dusk until about 9pm each night. 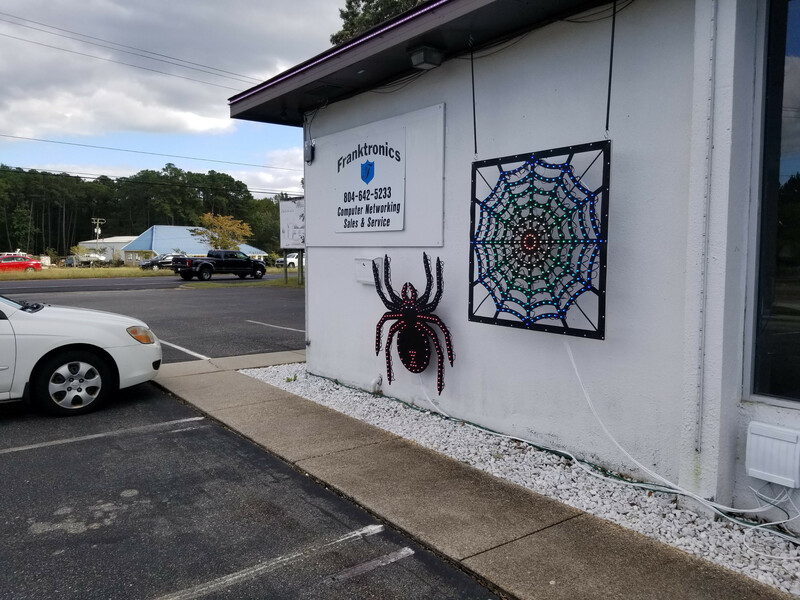 Turn your car radio to FM 102.3 and listen to the Halloween music as it is sychronized to the lights on the Franktronics building. Some of the songs this year are: Monster Mash, Nightmare on Elm Street, Tubular Bells, Thriller and more! 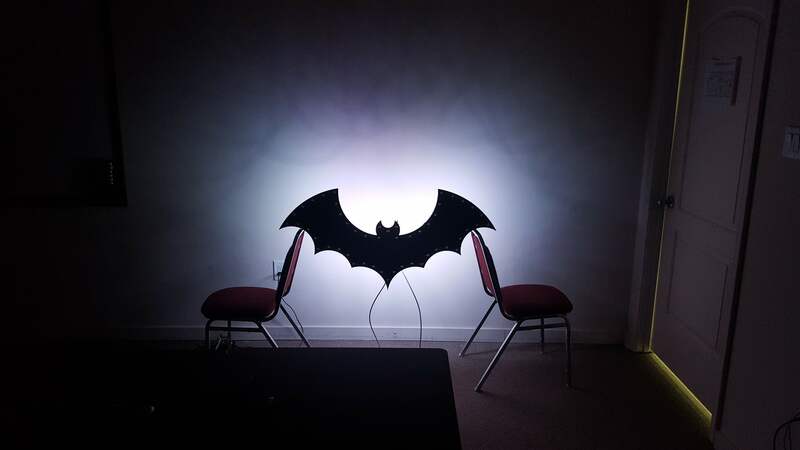 This Halloween Lightshow is free to the public. Hope you enjoy it.